This artisan made solid shampoo bar handmade in the UK with natural and organic ingredients uses avocado oil and lemon essential oils to gently cleanse without stripping your hair, and replaces any lost moisture for fresh, bouncy and nourished hair. It is completely cruelty free and suitable for vegans, made without palm oil and can also be used for the face, hands and body. Organic avocado oil is great for moisturising dry, brittle and damaged hair, and also works to deeply condition and strengthen, adding shine. It is rich in vitamins and amino acids to promote healthy cell growth. The pure essential oil blend of lemon, may chang and ylang is balancing and will control excess oil production, with an uplifting fragrance. Suitable for all hair and skin types, especially for problem, sensitive and combination hair/skin types. Free from parabens, SLS, triclosan, phthalates, palm oil, animal testing, GMOs and artificial ingredients. Suitable for vegans. Handmade in the UK. 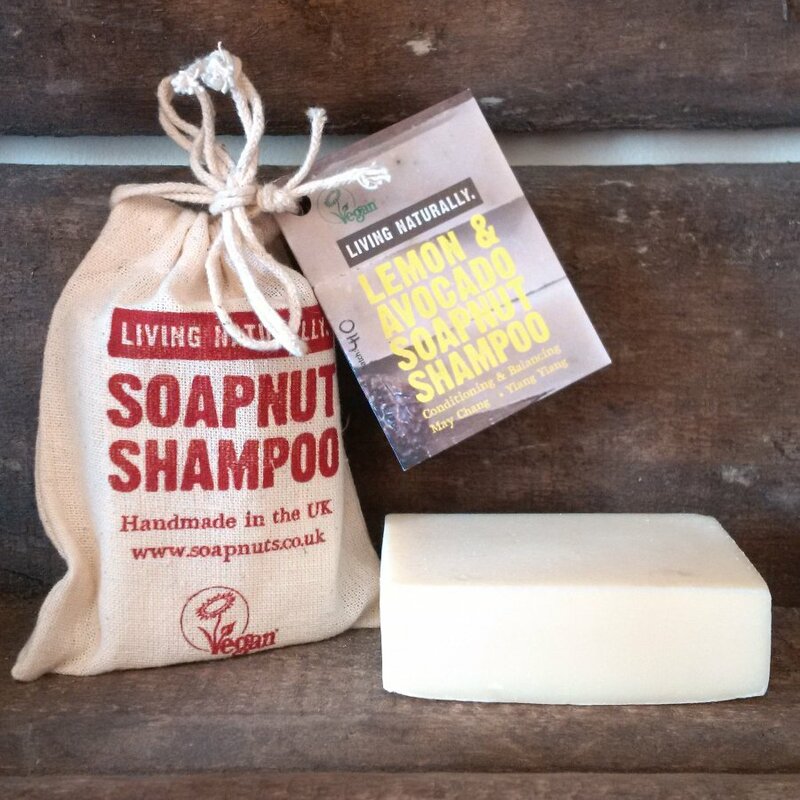 Packaging is plastic free. Organic Sapindus mukorossi (soapnut) fruit extract, Olea europaea (olive) fruit oil, Organic Cocos nucifera (coconut) oil, Organic Ricinus communis (castor) seed oil, Sodium hydroxide*, Organic Theobroma cacao (cocoa) seed butter, Organic Persea gratissima (avocado) Oil, Kaolinite (white clay), Cananga odorata (ylang ylang) flower oil, Citrus limon (lemon) peel oil, Litsea cubeba (may chang) fruit oil, linalool**, limonene**. 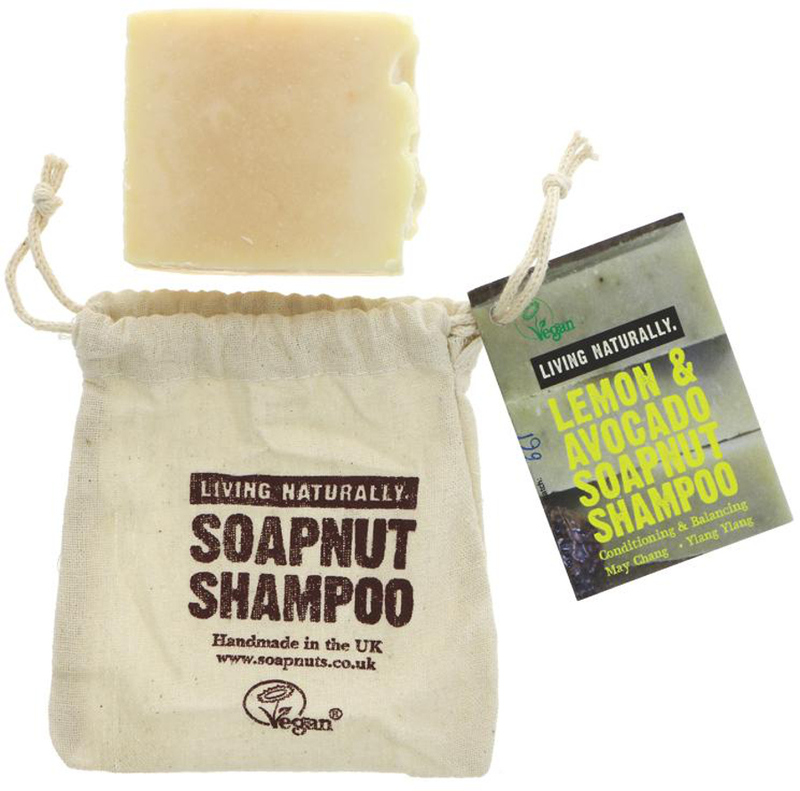 There are currently no questions to display about Living Naturally Lemon & Avocado Shampoo Bar - 90g.